Earlier this month, Hearthstone players opened their game clients to a nice surprise: Ragnaros the Firelord’s “Fire Festival,” a flame-themed mini-event that rewarded players with double gold for completing daily quests. In an unprecedented display of Hearthstone freebie-giving, the event went on for two weeks–but earlier this week, Blizzard announced that the ice god Ahune would supplant the Fire Festival with his own “Frost Festival.” Translation? More free stuff. 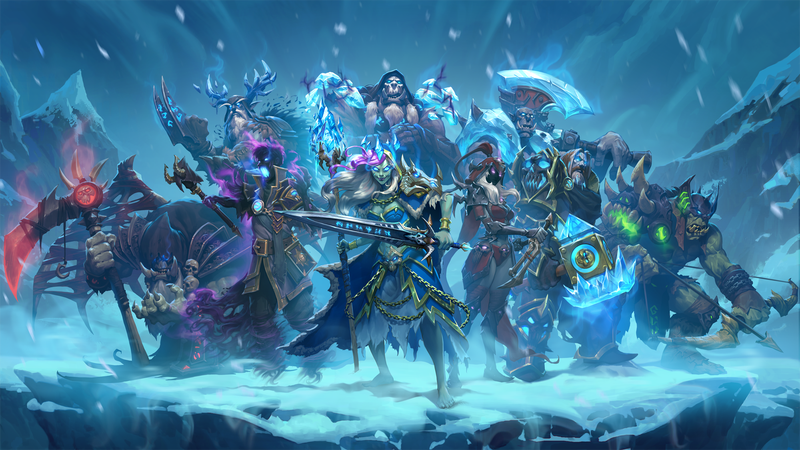 Once per week during the three-week Frost Festival, players get a free arena run just for opening the game. As an added bonus, the run comes with a free win, so even if you’re awful at arena you’ll at least leave with one victory on your hands. Where the Fire Festival focused on boosting quest rewards, the Frost Festival encourages arena play and is offering free packs for the game’s upcoming expansion, Knights of the Frozen Throne. Glad you like them. In the last year and a half or so we dedicated a team to what we call live-content that includes brawls, fireside gatherings, events like these, and a bunch of other cool stuff. I’ve been excited for these two events to go live for awhile now and I know they have a bunch of other things in store for the future you all will enjoy. When people say that Hearthstone requires way too steep of an investment, they have a point. If you’re not paying for cards with money, you’re paying with time, and even though it’s possible to make it pretty far with a single competitive deck, the real Hearthstone experience encourages competence with multiple decks, and building the collection to do that takes a lot of hours (or cash) no matter how you slice it. When Blizzard first introduced Tavern Brawls–casual-but-fun weekly events that offer players a free pack of cards–it served as a helping hand for anyone serious enough to try and climb the mountain of Hearthstone card collecting. At the time, Hearthstone’s themed single-player Adventures like One Night in Karazhan and Blackrock Mountain gave players a pre-packaged set of cards at a single rate, so the act of catching up on collection didn’t feel so daunting—if you put down the 20 bucks, you slide right into the metagame with everyone else. Now that the game’s model has shifted to three booster pack-based expansions of approximately 130 cards each per year, there’s a lot more to collect and a lot more to spend time and money on–so much, that after the release of Journey to Un’Goro, it led to some major stresses within the community. Paired with the Fire Festival and recent changes to the way Legendary cards will pop up in the upcoming expansion, the Frost Festival and other promos of its kind could go a long way toward curbing investment anxiety. Because as Blizzard finally seems to have figured out, if there’s one thing in this universe that can alleviate the Sisyphean terror of trying to build a Control Warrior deck, it’s a big juicy pile of free cards. Joshua Calixto (@hitherejosh) writes about esports, culture, and technology.